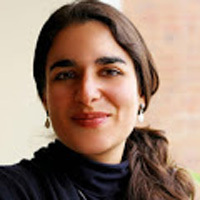 Shanti Kleiman is an energy and environment advisor on Mercy Corps’ Environment, Energy and Climate Change unit, which provides technical support to Mercy Corps program teams. The Environment, Energy and Climate Change unit is focused on helping teams design and implement programming that accelerates market-based access to clean energy for underserved markets, while also supporting the integration of climate and ecological systems thinking into Mercy Corps development and humanitarian programming. Prior to Mercy Corps, Shanti worked on the design and manufacture of small-scale water systems and low-cost agricultural technologies in Ghana, Nepal, Ethiopia, and Brazil, and worked with the Brazilian NGO Viva Rio to establish judicial assistance centers in Rio de Janeiro. Shanti received a Masters of Environmental and Water Quality Engineering and a Masters of City Planning from MIT, and she speaks Spanish and Portuguese.